O'Grady - Joelle Delbourgo Associates, Inc.
Colleen O’Grady is changing what’s possible for moms and teenage daughters. Too often the teenage years are marked and defined by drama, especially between mothers and daughters. Hoping to continue the close and loving bond they have had with their baby girl, moms can be devastated when adolescence strikes, which can happen as early as age nine. Instead of a joyful, respectful, and caring relationship with their daughter, they find themselves drowning in the daily outbursts, tantrums, and disrespectful interchanges with this strange creature pretending to be their daughter. And yet a healthy relationship is crucial to effective parenting and for a daughter’s well being. Moms know this intuitively, but many feel powerless to change it. 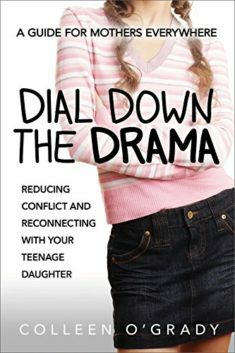 Colleen provides a comprehensive roadmap in her groundbreaking book Dial Down the Drama: Reducing Conflict and Reconnecting With Your Teenage Daughter, A Guide for Mothers Everywhere. 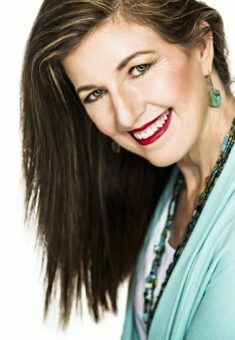 Colleen O’Grady has not only been a successful marriage and family therapist and life coach for twenty-five years; she is also a mom in the trenches with her own teenage daughter. Colleen started writing Dial Down the Drama when her daughter was fifteen and completed the manuscript when she was nineteen. Though at times she felt crazy for writing this book while she was living the book, she found that these principles really work. Colleen has been able to enjoy a vibrant, authentic, close connection with her daughter through the teenage years. Colleen spent nineteen years as a supervisor, trainer, and consultant at both University of Texas Mental Science Institute and Texas Children’s Hospital Learning Support Center; and received multiple awards for her invaluable contributions, support, and teaching. Prior to that, she spent ten years as a youth minister and was a hero to thousands of teenagers. She is known and respected in her community and professional organizations as an expert on adolescence. Life was good, really good. And then her daughter turned twelve. Despite being the “expert” and well versed in parenting theories she was shocked at how easily she got hooked in her daughter’s drama. After much soul-searching Colleen discovered the missing pieces to having a healthy connection with her teenage daughter—and yours. These “missing pieces” became the framework for her Power Your Parenting programs, blog, podcast, and weekly e-zine, which has changed the lives of mom’s from all over the world. And now it’s all pulled together in Dial Down the Drama.